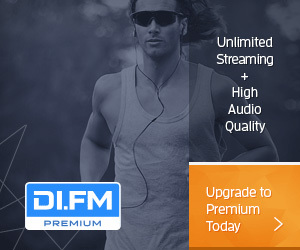 Enjoy the best electronic music on your iPhone or iPod touch and stream music on AirPlay-capable devices. Requires iOS 9.0 or later. With more than 2 million listeners each day, our rock solid Android app is a fan favorite. Requires Android 4.1 or higher. 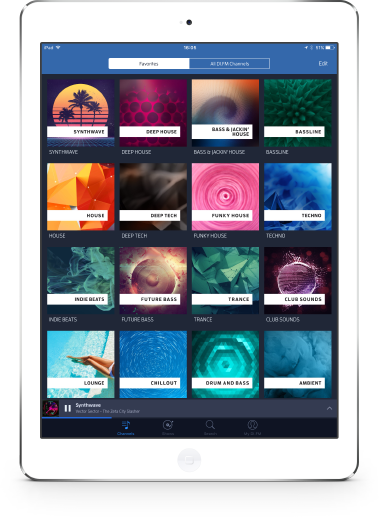 Enjoy the electronic music on an app designed for your iPad and stream music on any AirPlay-capable devices. Requires iOS 9.0 or later. 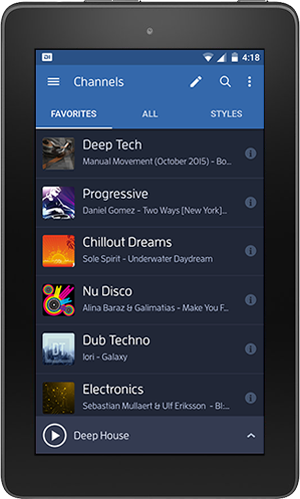 Take the best electronic music with you wherever you go with your Kindle Fire. Requires Fire OS 3.2.8 or higher.